GSROC wanted to show our respect to Anaheim PD’s K9 Bruno. 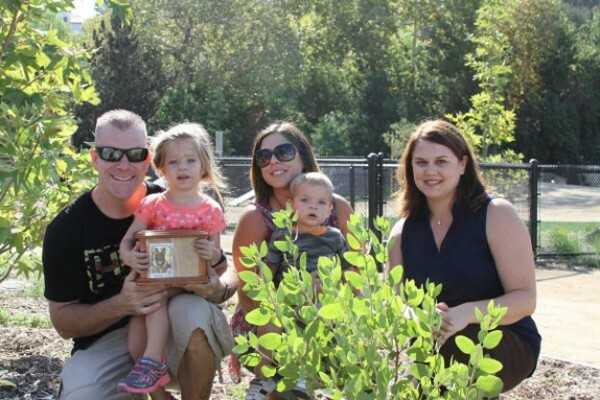 On Monday, July 27, 2016 we planted a tree in honor of Anaheim Police Department K9 Bruno, who was shot in the line of duty in March 2014 and passed away from complications of from his injuries in May 2016. Our volunteer was there with his family for the ceremony. He will be missed by many, mostly by the Young family, but this tree will stand firm in his memory for years to come!